We were very pleased to welcome two new volunteers to our work party, Richard and Sandra, who had joined us previously to work with the canoes. 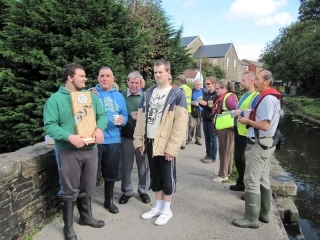 We took along our award from Keep Wales Tidy as it was being returned after our year of displaying it in the Clydach Heritage Centre. Here our friends from Whitehorns are proudly holding it. 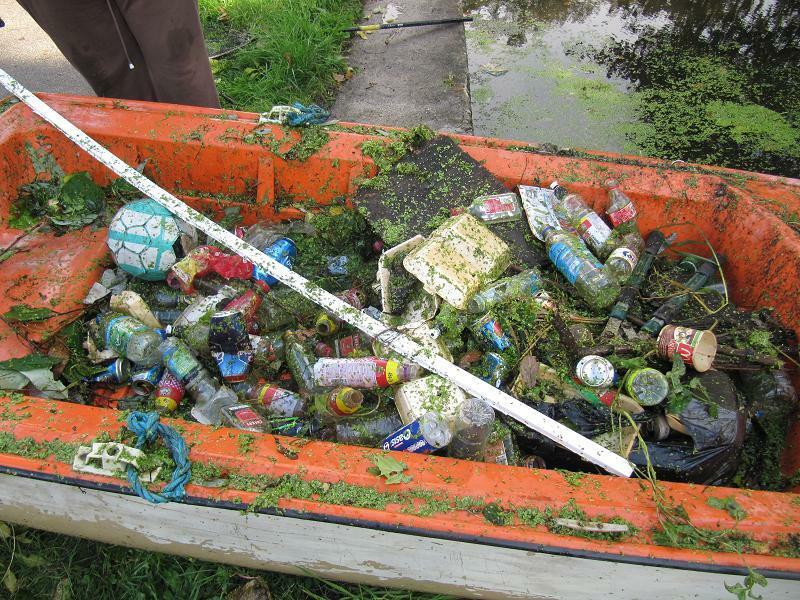 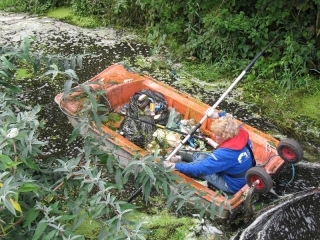 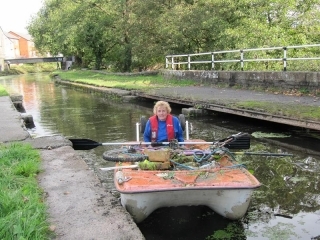 Gill worked with her usual enthusiasm until she had buried herself in a boat full of litter. 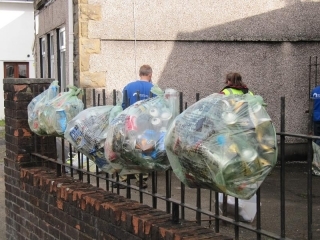 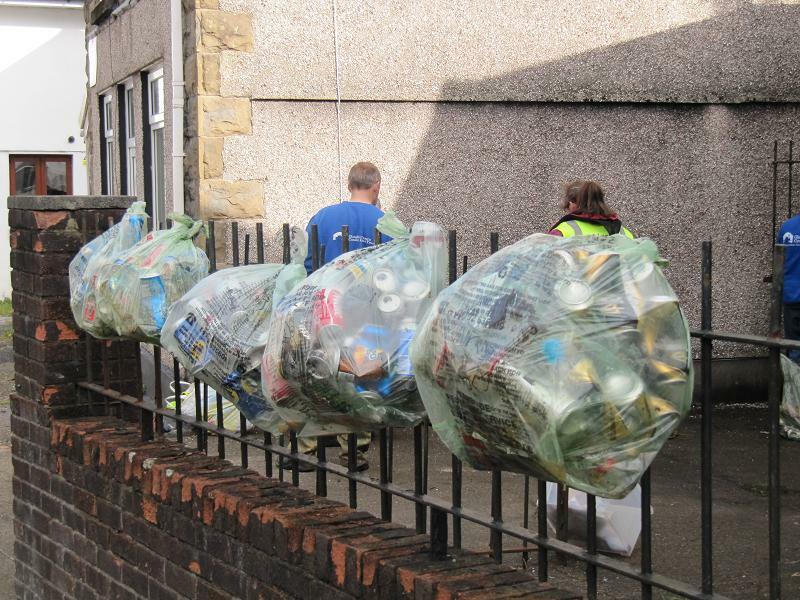 The rubbish was then sorted and put ready to be recycled. Previous postTHE WEEK AHEAD: 3.10.14. Next postTHE WEEK AHEAD: 11.10.14 -18.10.14.